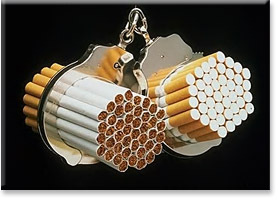 Regarding the controversy surrounding the permissibility of smoking, it has been argued that since it is permitted to endanger one's life under conditions of "Dashu bei rabim" (many do it), therefore the verse (Psalms 116:6) "Shomer petayim Hashem" (Hashem protects the simple) applies. It is stated in Avodah Zarah (30b): "R. Eliezer avers that one may eat grapes or figs at night and need not fear [that a poisonous snake had bitten into them], for it is written, 'Shomer petayim Hashem.'" The Rabbis prohibited drinking uncovered water in an area in which poisonous snakes are common. This prohibition however applies only to liquids and not to solids. In Niddah (31a) it is stated: "We have learned [that] if one has relations with his pregnant wife on the 90th day since conception, it is as if he were killing [the fetus]... Abbaye says: 'He may act normally, because of the dictum shomer petayim Hashem.'" "
"Three [types of] women may use a moch [comparable to a diaphragm]: a minor, a pregnant woman and a nursing mother. [Rashi explains: It is permissible for them to have relations using a moch, and is not considered as a waste of sperm.] Regarding a minor [it is permitted] for she might become pregnant and die. With respect to a pregnant woman [it is permitted] since perhaps [if she conceives again] one fetus may kill the other. For a nursing mother [it is permitted for if she conceives] she will [presumably] need to prematurely wean her young child [Rashi: "...because the new pregnancy will terminate her lactation"] and the child will die [of hunger].... This is R. Meir's opinion. The Rabbis however rule that in each woman's case, she and her husband continue their normal behavior and Heaven will have mercy, for it is written, "shomer petayim Hashem." It should be pointed out that in these three cases "shomer petayim Hashem" is invoked with no a priori regard to dashu bei rabim. In Yevamot (71b) two reasons are given for why the Jews, during their 40 years of wandering in the desert, did not perform Brit Milah (circumcision). Firstly, because they were never certain how long they would remain at any location, and if they were to perform a Brit and soon thereafter be commanded to travel, the infant would be placed in danger. Secondly (ib. 72a), because "the northern wind did not blow" (i.e., climatic conditions were adverse). Rules R. Papa: "Therefore, on a cloudy day we perform neither a Brit nor let blood. Today, however, because of dashu bei rabim [and] shomer petayim Hashem, it is permissible to carry out the Brit or bloodletting." Machatzit HaShekel (O.C. 467) comments that in the cycle of the Jewish year a metaphysical influence that once prevailed returns on the same date. Therefore we are obligated to take heed of any cyclical harmful influence. The reader will note that concerning the cases mentioned in Niddah (31a), Avodah Zarah (30b) and Ketubot (39a), dashu bei rabim is not mentioned, while in the remaining examples (Yevamot 71b and Shabbat 129b) it is. Since the Gemara was not written - Heaven forfend! haphazardly or carelessly, an underlying paradigm must obtain which orders the differential use of dashu bei rabim and shomer petayim Hashem. It is our religious and intellectual responsibility to uncover it. "One may eat figs and grapes at night and need not fear that a poisonous snake had bitten into them." Even though this does happen, one need not worry because it is an unusual occurrence [that snakes eat figs or grapes]. It is however common [that they drink] from liquids. Given that the permissibility of eating grapes and figs at night is based upon the principle of shomer petayim Hashem, the Tosefot Rid reveals that it is implemented only if the risk is rare. This revelation helps explain the above textual differences. The Gemarot Niddah (31a), A.Z. (30b) and Ketubot (39a) deal with situations in which the risk involved is always low. Therefore shomer petayim Hashem can be implemented with no recourse to dashu bei rabim. However, with respect to the situations described in the Gemarot Yevamot (71b) and Shabbat (129b), at one time a real risk was involved. Nevertheless, since many people disregarded the risk (i.e., dashu bei rabim) and nothing untoward resulted, this proves that the risk factor has since then been significantly reduced and the incidence of harm is indeed rare. Once this is true, shomer petayim Hashem may be invoked to permit the practice. Rabbi Meir [of Rothenburg] writes that we may not let blood on [any] Erev Yom Tov because of Erev Shavuot [Shabbat 129b]. Rabbeinu Peretz [disagrees and argues that] because many people have become accustomed to [letting blood on Erev Shavuot] shomer petayim Hashem may be invoked. This situation is similar to [the permissibility of bloodletting on] Erev Shabbat even though Mars is prominent. "It is customary not to let blood on any Erev Yom Tov because of Erev Shavuot.... This is true if the purpose of the bloodletting is for improving health; however, if the purpose of the bloodletting is for the cure of a dangerous illness, dashu bei rabim [and] shomer petayim Hashem [are invoked]. The Eliyahu Rabba permitted [bloodletting] even on Erev Shavuot if doctors prescribed it for a sick person whose life was threatened. He claims that only in the time of the Gemara was bloodletting prohibited [for then it was a more dangerous procedure]. However, since bloodletting now [is less hazardous, it is permissible]. Therefore in any situation of danger [bloodletting on Erev Shavuot] is permitted. Without this [precondition, however], it is prohibited. The question arises: If dashu bei rabim applies, why is there a difference between bloodletting for general reasons of health on the one hand, and for ameliorating the lot of a severely ill person on the other? Further, why doesn't R. Meir (as mentioned by the Kol Bo) relate to the principle of dashu bei rabim? Why does he treat this case as being out of the ordinary? It seems to this author that there indeed is a basic difference between Erev Shavuot, when Tavo'ach is present, and the other cases, for which dashu bei rabim is used. The Gemara (Yevamot 72a) by its application of dashu bei rabim informs us that climatic conditions are no longer considered as presenting danger which would prohibit the performance of a Brit. Also, regarding bloodletting on Friday, the Gemara discloses that Mars has no negative influence on Fridays and therefore no prohibition is imperative. On the other hand, regarding the metaphysical being, Tavo'ach, its essence, as its name indicates, represents inherent and fundamental danger. Just because people have ignored this danger with no negative consequences does not prove that Tavoa'ch has lost its dangerous properties. Instead it reveals that we, thank G-d, are being protected for whatever reasons Hashem sees fit. The implication of this is that the past is not a guarantee for either the present or the future. Consequently, R. Meir opines that dashu bei rabim and shomer petayim Hashem are inapplicable. R. Peretz, on the other hand, is of the opinion that since nothing detrimental has occurred in the past, it is reasonable to assume that nothing will happen either in the present or in the future. This enables us to apply the two principles. In accordance with the general rule that "chamira sakanta me'isura" (a situation of possible danger demands more stringency than one that may entail a halachic prohibition [Chulin 10a]), the Rama rules in line with the stricter position of R. Meir. As a further clarification of the Rama, both the Eliyahu Rabba and Chayei Adam aver that in circumstances of great need (e.g., if a person is dangerously ill) two leniencies may be combined to permit bloodletting: firstly, that of R. Peretz who is of the opinion that dashu bei rabim and shomer petayim Hashem apply regarding Tavo'ach, and secondly, the decrease in danger from bloodletting in ancient times to that performed during the Middle Ages. Rashi to Ketubot (39a) explains that according to R. Meir's (the Tanna) position it is permissible for the three women to use a moch "and it is not considered a waste of sperm." This implies that according to the opposing opinion of the Rabbis who rule that the couple act naturally by relying upon shomer petayim Hashem, it is prohibited for them to use a moch. Doing so would lead to a waste of sperm. This author wishes to suggest that the permissibility of using a moch does not derive (as it would seem from the cases of the three types of women) from considerations of pikuach nefesh (life-threatening situations, which suspend all mitzvot of the Torah). For if the result of using a moch would indeed be considered as destroying sperm, it should be prohibited in the first instance, with the husband being required to abstain. Additionally, although minors or pregnant women, if they conceive, may endanger their own or their fetus's life, however, regarding a nursing child not only is an alternate diet of eggs and milk available (Yevamot 42b), but a wet nurse may be called upon. Consequently, when Rashi says, "It is permissible and not considered a waste of sperm," his interpretation of R. Meir's position is that since a valid reason obtains for using a moch, thus it ensues that there is no prohibition against wasting sperm. The prohibition applies only in the absence of a valid reason. All of these three women may claim an objective and valid reason for using contraception, therefore the moch is permitted. (For all other women use of a moch is prohibited.) Once moch use becomes permissible, R. Meir by implication informs us not to rely on shomer petayim Hashem. The formula shomer petayim Hashem does not denote absence of danger, but that one need not worry and may rely on Hashem's mercy. Where a permissible alternative is available, then it must be entertained, rather than relying upon shomer petayim Hashem. The Rabbis who differ with R. Meir are of the opinion either that since shomer petayim Hashem is applicable to the three situations, the minimal risk involved in living normally cannot serve as a sufficient reason for permitting wasting of sperm, therefore the use of a moch is prohibited; or they are of the opinion that even for a valid reason sperm may not be wasted, and since no permissible alternative fashion of having relations exists, shomer petayim Hashem is relied upon. According to the above analysis of Rashi, both R. Meir and the Rabbis agree that if minimal risk obtains which may thereby allow the use of shomer petayim Hashem, but a safe alternative exists, one should not rely on shomer petayim Hashem. Rabbeinu Tam (as cited in Tosafot to Ketubot 39a and Yevamot 12a) differs with Rashi. He claims that Rashi does not distinguish between a moch applied before or after relations. R. Tam is of the opinion that the moch which the Gemara refers to is applied only after relations. A moch before relations would be prohibited even according to R. Meir, since there is no difference between a moch and "wasting seed on the ground." According to R. Tam the use of contraception after relations is permissible for all women. Consequently, the difference between R. Meir and the Rabbis is that R. Meir rules that these women are obligated to use a moch afterwards and may not rely on shomer petayim Hashem, while the Rabbis a13re of the opinion that they may choose either to use a moch or rely on shomer petayim Hashem. "One who does not want to perform a Brit on a cloudy day [because he is disinclined to rely on shomer petayim Hashem] may act in accordance with his wishes. Indeed his decision is the preferred one. This preference also extends to the delaying of a Brit on a cloudy Shabbat." Even though Brit Milah overrides Shabbat, if a reason exists for delaying it, it should be postponed to preclude Shabbat desecration. The Ritva is of the opinion that shomer petayim Hashem merely allows acts which embrace minimal risk, and even then he advises against them. In conclusion, Rashi is of the opinion that one should not rely on shomer petayim Hashem when a safe alternative is available, while R. Tam holds that one may rely on shomer petayim Hashem. The Ritva advises against reliance on shomer petayim Hashem even when such reliance is halachically sanctioned. The Terumat HaDeshen (Chapter. 211) points out that even Talmidei Chachamim (Torah scholars) practice leniency regarding marrying a woman who has been twice-widowed, even though the Gemara (Yevamot 64b) and the Shulchan Aruch (E.H. 19) prohibit it. This prohibition derives from the fear that her new husband will also die. As a reason for this leniency, he first cites the Or Zarua who defines the risk at hand as being a safek (low probability) risk. He notes that such women do marry, their husbands live long lives and they have children. Because the risk is so small, the leniency of shomer petayim Hashem may be used. Additionally, due to the fact that we Jews are so few in number and can only marry amongst ourselves, the situation has become one of dashu bei rabim and shomer petayim Hashem. He then asks whether shomer petayim Hashem applies to a Torah scholar who is aware of the risk involved. The phrase shomer petayim Hashem denotes ignorance; one who is learned and is aware of the risk cannot be termed a peti (simpleton). Even for a non-scholar the Terumat HaDeshen finds it problematical to accept the leniencies of the Or Zarua. Since in any case a risk is involved, it is difficult to ignore the rulings of the Gemara and the Shulchan Aruch. He concludes however that leniency is warranted in order that widows not be compelled to remain unmarried. For young women who have unfortunately lost two husbands this is especially important, for if they are prohibited from remarrying it is feared that they may stray from the path of Jewish modesty, G-d forbid. Conjoining these apprehensions with the other factors mentioned previously softens the prohibition of the Terumat HaDeshen and enables him to permit twice-widowed women to marry. Thus according to the Terumat HaDeshen the fact that an action is known to carry hazard and yet people regularly disregard it implies that shomer petayim Hashem might not apply. This is because the condition of being a peti is not fulfilled. Regarding smoking, in the opinion of this author it is prohibited not only in public, where discomfort and possible harm are caused to others (see Chagigah 5a), but also in private (i.e., even with no others present). In order to permit smoking the only leniency that pertains is shomer petayim Hashem. This is so however only if the risk is minimal. According to statistics available to this author, approximately 1% of smokers contract fatal illnesses (G-d forbid) that are related to smoking. One percent is not considered rare and would be subsumed under the positive Biblical commandment of "guarding one's life." The fact that many smoke is totally irrelevant. Similarly, even if it is concluded that "Take heed and care diligently for your lives." (Deut. 4:9) applies only to risk to life and not to health, the risk factor of fatal illness caused by smoking would in and of itself prohibit it. Further, even if the 1% risk could be considered as remote, the lenience of shomer petayim Hashem would still not apply. This is because the public has come to identify smoking as a hazard to health. It has been shown(from J.T. Terumot 8:3, and the Rambam, Laws of Murder 12:4) that all are required to be wary of situations which the general public accepts as dangerous. This is so even if the danger is only to one's health. The fact that smoking is publicly advertised as dangerous to one's life precludes anyone from being considered a peti (one who is ignorant). Consequently, according to the Terumat HaDeshen, shomer petayim Hashem would not apply. According to the Rama (O.C. 466), if a potential yet real danger is present, even though many people are not harmed, shomer petayim Hashem does not apply. 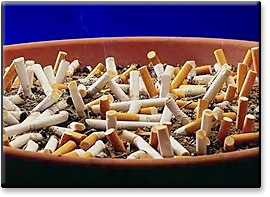 Since certain chemical components of cigarette smoke have been proved to be carcinogenic, the danger is considered as present and shomer petayim Hashem cannot be invoked. According to Rashi (Ketubot 39a) the Rabbis agree with R. Meir that if there is no prima facie reason to resort to shomer petayim Hashem then it should not be invoked. R. Tam agrees to this position (see footnote 14). Consequently, regarding smoking, shomer petayim Hashem is not implemented in order to gain permission. Even if shomer petayim Hashem might apply, the Ritva pronounces that it is preferable not to invoke it. Finally, even according to the Radak (footnote 9) that dashu bei rabim denotes absence of all danger, it might be necessary to prove that it requires a majority of the general public to implement dashu bei rabim. Data available to this author indicate that 70% of the populations of the USA and Israel do not smoke. 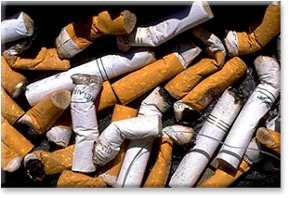 Certainly many within this majority prefer not to smoke because of the health hazards associated with smoking. Thus even according to the Radak there may be no appeal to dashu bei rabim and shomer petayim Hashem. Summing up all of the above analysis, it is most difficult to present any cogent argument that would allow anyone to begin or to continue smoking.